Winners never quit, quitters never win. Become a winner today. 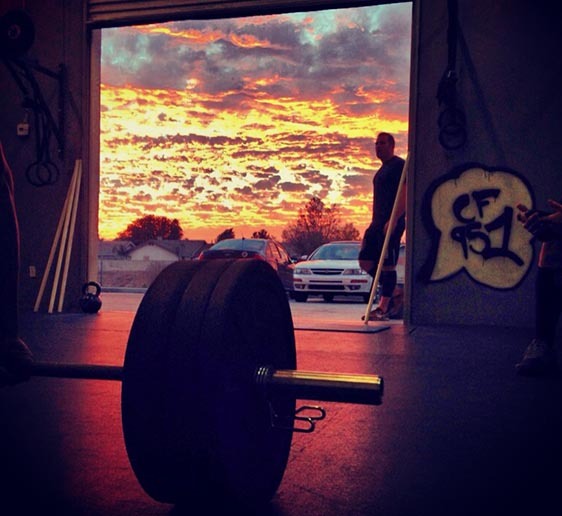 CrossFit 951 was founded in 2008 out of a garage in Menifee. The appeal of challenging, yet functional movements and the idea of getting fit with a group of friends in a competitive, but welcoming environment drove us away from the mundane, traditional gym routine and led us to CrossFit 951. We had a small group that would get together for a daily workout (WOD). We used the front lawn, the driveway, the street, a park nearby, and any other space that we could find to complete our workouts. We also didn’t need extravagant gym equipment and used what was available: a pvc pipe for overhead squats, a valve box for box jumps, and a palm tree as a target for wallballs. In 2010, we made the move from the garage to our current location in Menifee where we have continued to grow our box and community. We pride ourselves in being one of the original CrossFit boxes in the Inland Empire. All new members, regardless of fitness level or athletic background, must attend our Fundamental Movements program. Hatha yoga includes traditional postures, careful movements, breath, and mindfulness. WOD means “Workout of the Day.” You can expect a structured hour long class that includes a variety of elements. The focus of Barbell Club is to improve the technical execution of Olympic and Power Lifts. Expect less emphasis on barbells, no max effort lifts, higher repetitions, and longer workouts. Qualified and experienced child care providers to watch your children while you get your sweat on.